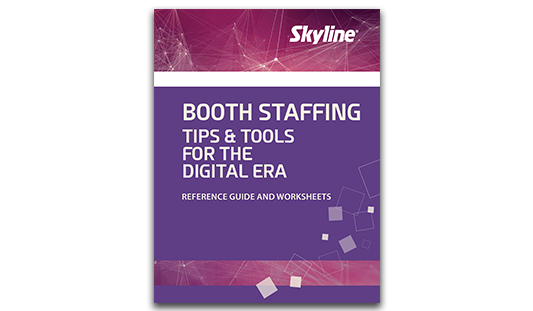 This reference guide will provide insight into the changes in trade show booth staffing, what’s causing the shift, and how to best prepare your team. Your staffers – by engaging, qualifying and capturing potential customers – represent your best opportunity for success on the trade show floor. Request Your Free Hard Copy Today! 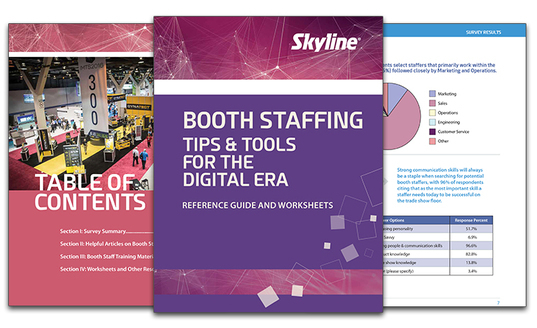 We surveyed veteran trade show managers - 50% of them having over 10 years experience - to better understand the role of the booth staffer, how training impacts their performance at the show, and how technology has effected trade show exhibiting. To see what we found, complete the form and we will send you a copy today!